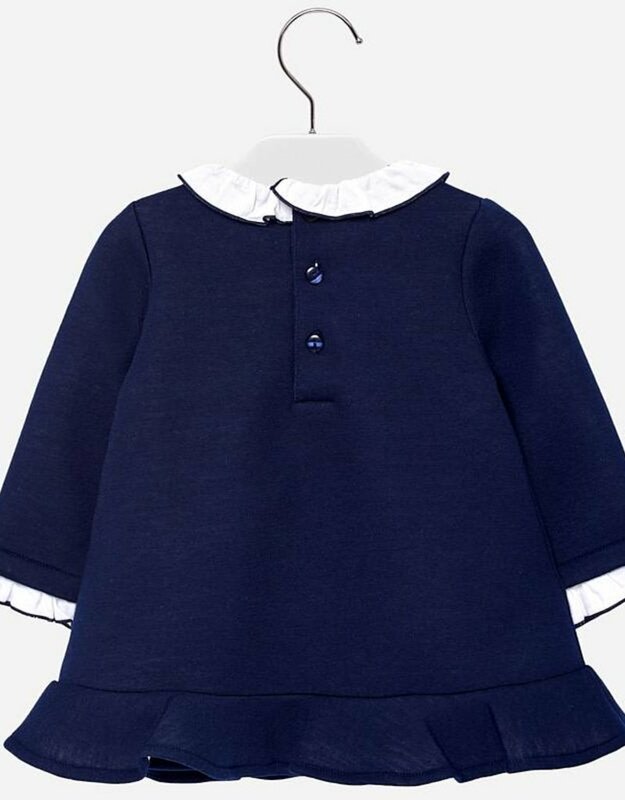 Long sleeved dress for baby girl with ruffled round neck collar. 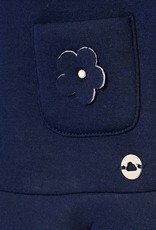 There are buttons on the back to fasten the dress. 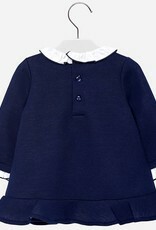 It is made from elasticated fabric for maximum comfort on a day to day basis. 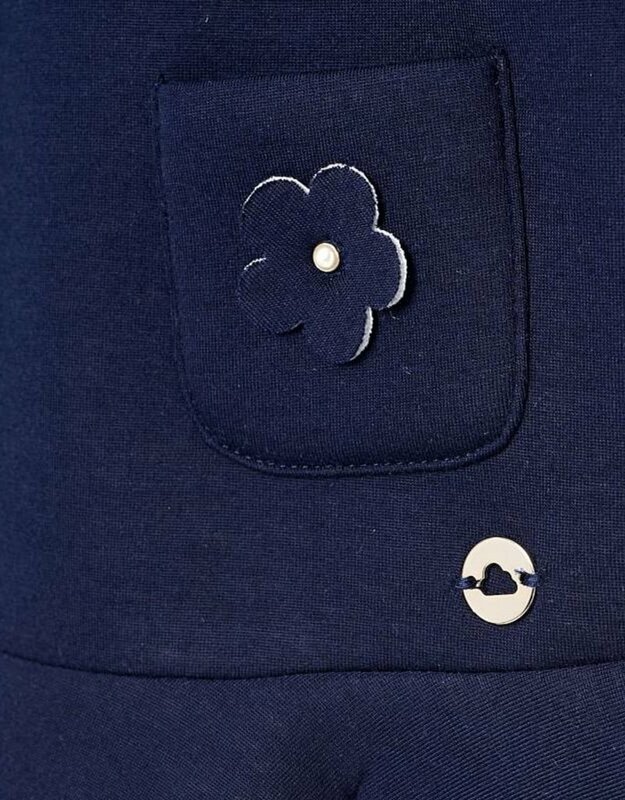 It has been designed with decorative ruffles on the bottom of the dress and functional patch pockets on the front with floral appliques. 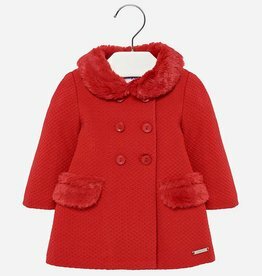 Mayoral toddler and baby red coat. 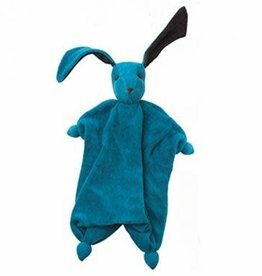 Lightweight organic bonding dolls with wool inside their heads make a great baby shower gift. 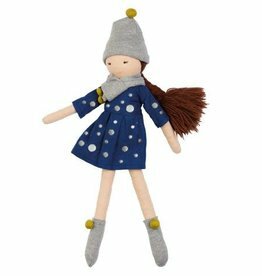 Hoppa's natural fair Trade Mia doll contains sheep wool inner. 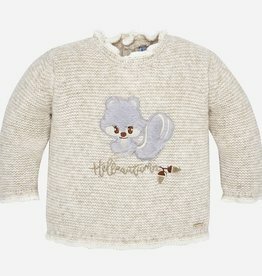 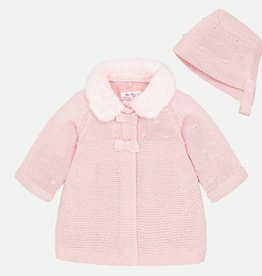 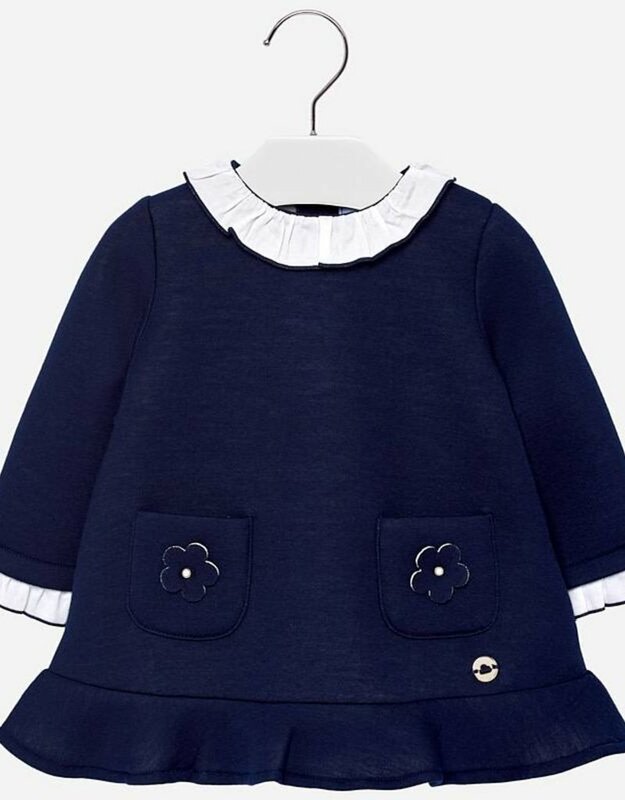 Elegant Mayoral baby sweater coat with matching bonnet.